RPW 2016 challenge chart of the week was completed on time. 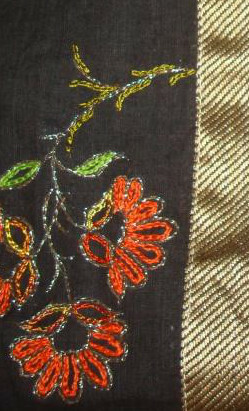 Two stitches together- crossed and plaited feather stitches are this week’s TAST challenge stitches. These stitch samplers were worked earlier. 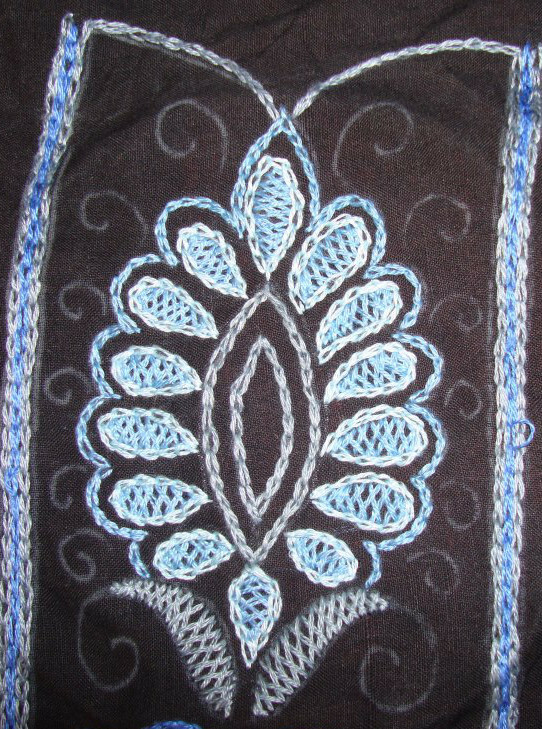 the working of these stitches are on Pintangle. The link to these stitch samplers are posted on FB group. 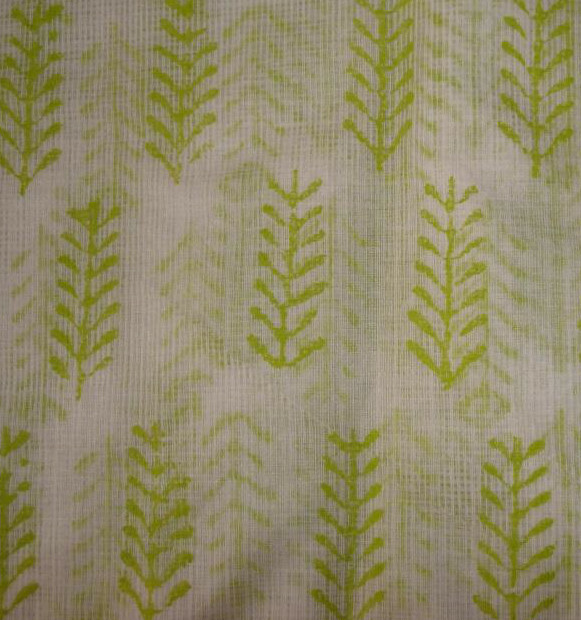 The embroidery for the white kota cotton fabric with green block prints was completed this week. The tunic is with the tailor. 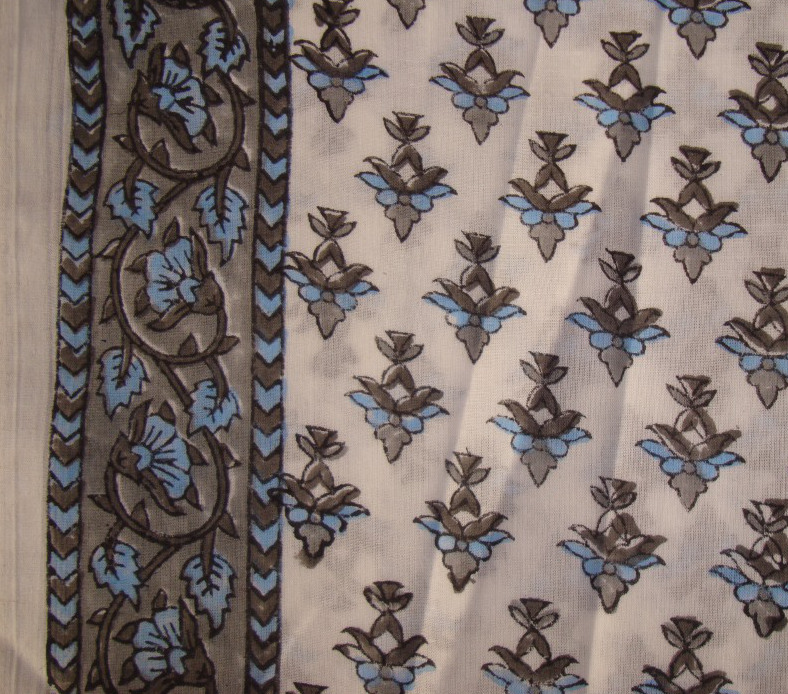 Filling stitches on the paisley motif were worked with variegated fine silk thread on the black fabric with woven border. 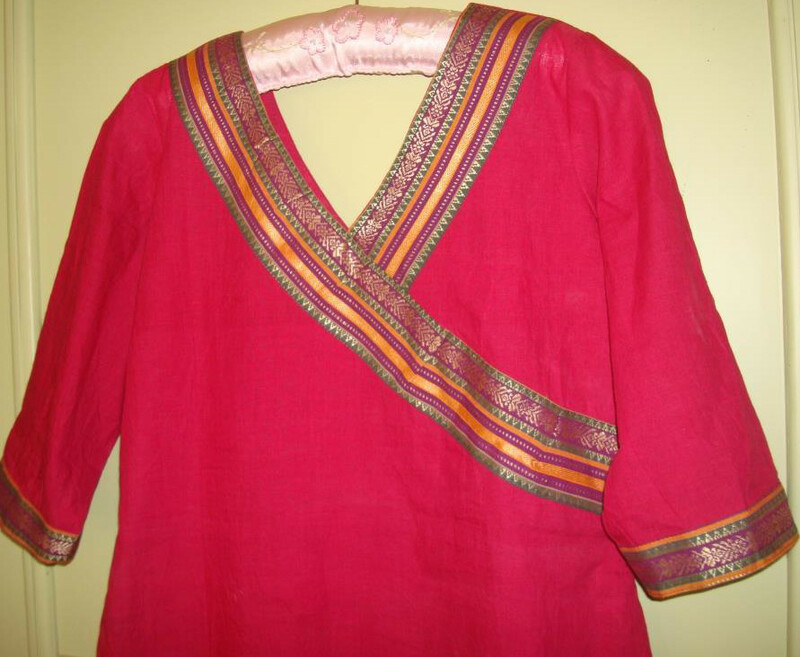 This pink tunic with border was sewn by the tailor last week. The embroidery designing is yet to be done. There was not much progress on embroidery work. I was seeing many Marash embroidery work. The history of Armenia was sad. 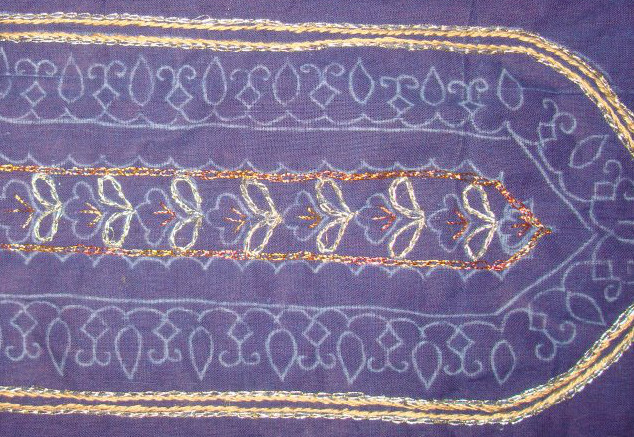 Keeping the idea of Marash embroidery a border was designed. I am a novice at circular kutchwork patterns. Three more ideas on this type of embroidery are waiting in queue. 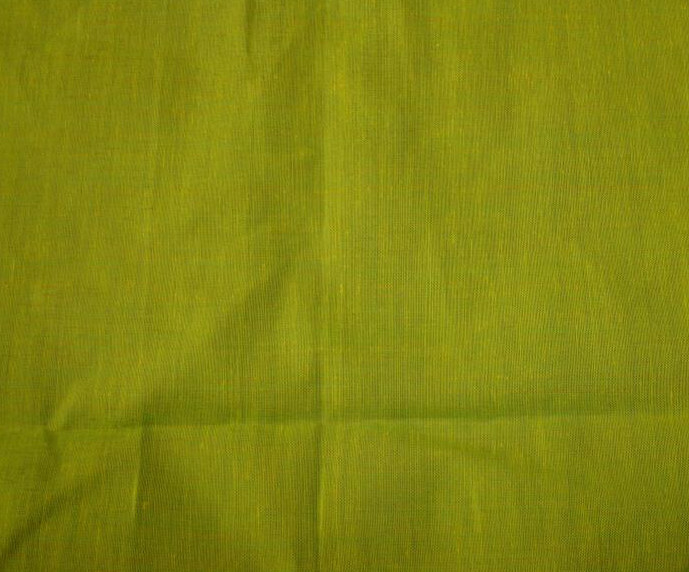 It is a different experience to plan and scheme a kutch pattern without mirrors or other stitches. Still it is very interesting. Hope to design them all before it slips from the memory. Few more edges were completed on last year’s Randje per week challenge. I had started them during the course of last year, when they were posted on their site. These edges are available on the site till March this year. 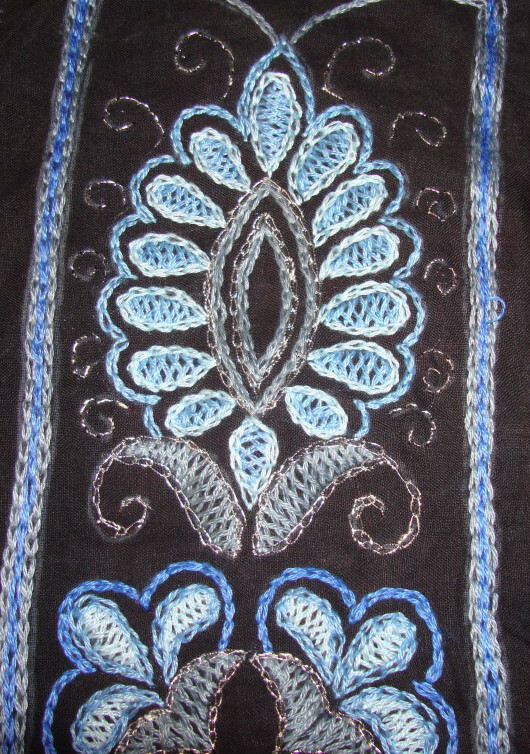 I started with metallic thread on the embroidery on dark blue fabric to be sewn on blue green crepe tunic fabric later. The design is traditional Indian. 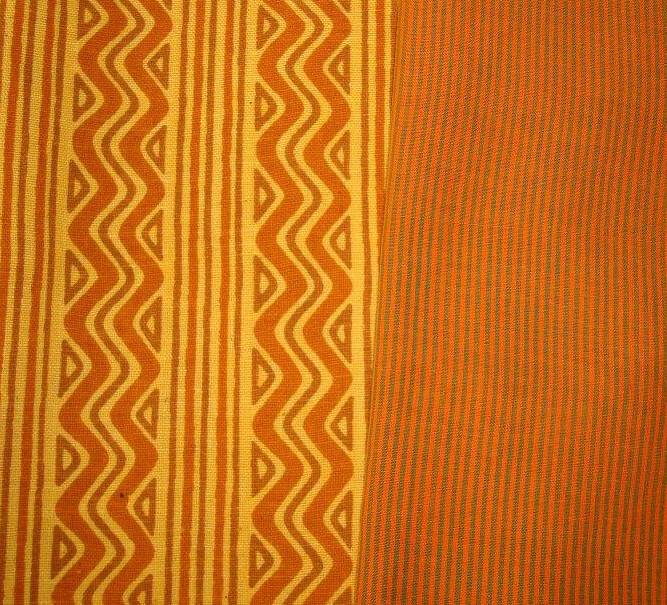 Some elements of a border from a design book by artist K.Prakash were the inspiration for this pattern. 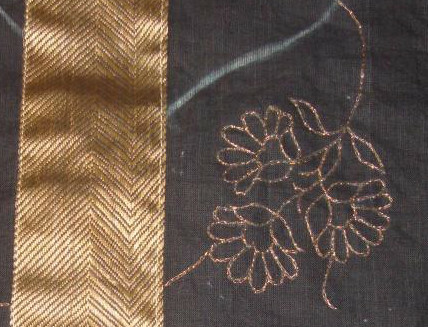 This embroidery will have stitches in gold colour threads and bluish green threads. Embellishments are also part of this project. I have two long stitch kits, one of which I started a while ago. Thinking if it is included in this post, it might start moving forward. Even an half an hour work every week on this project would help it a bit. It needs encouragement. That’s for next week. 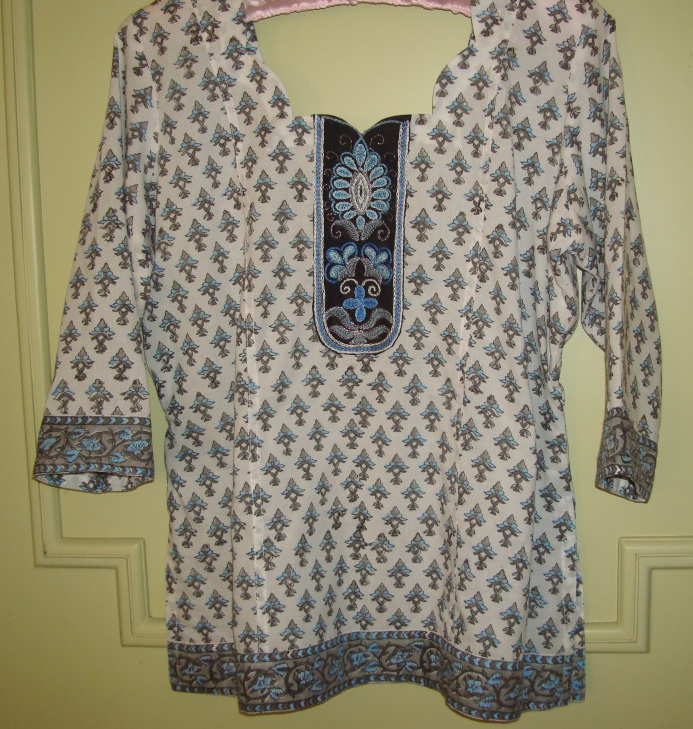 This tunic fabric is cotton with block printed motifs in grey and blue colours wit border. 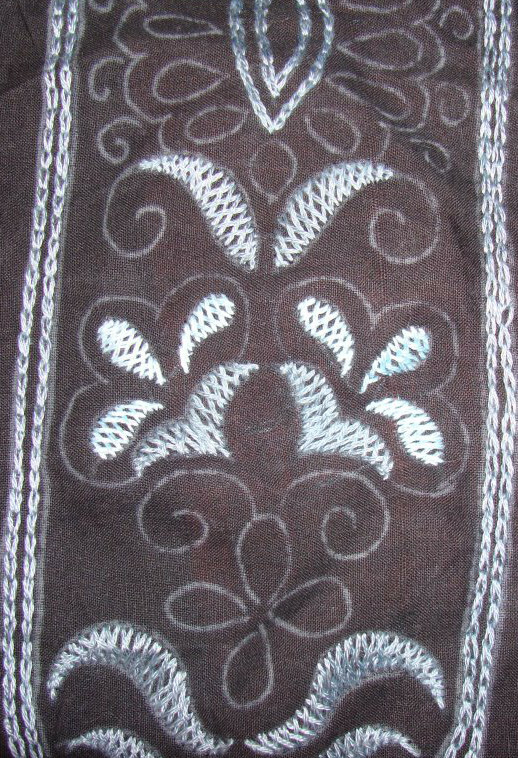 The embroidery was worked with cotton skeins and metallic silver thread. First thread was grey. Herringbone stitch fillings and chain stitch outlines were done with this thread. Three shades of same blue were used. first was the medium blue thread. The stitches were the same. Again the fillings are done with herringbone stitches and the outlines in chain stitch. The lightest blue is used for outline. 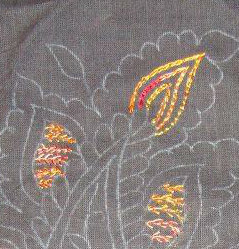 After working the embroidery with cotton skeins, the silver metallic thread was used to define the outlines and other smaller details. The last thread on this project was white cotton skein. 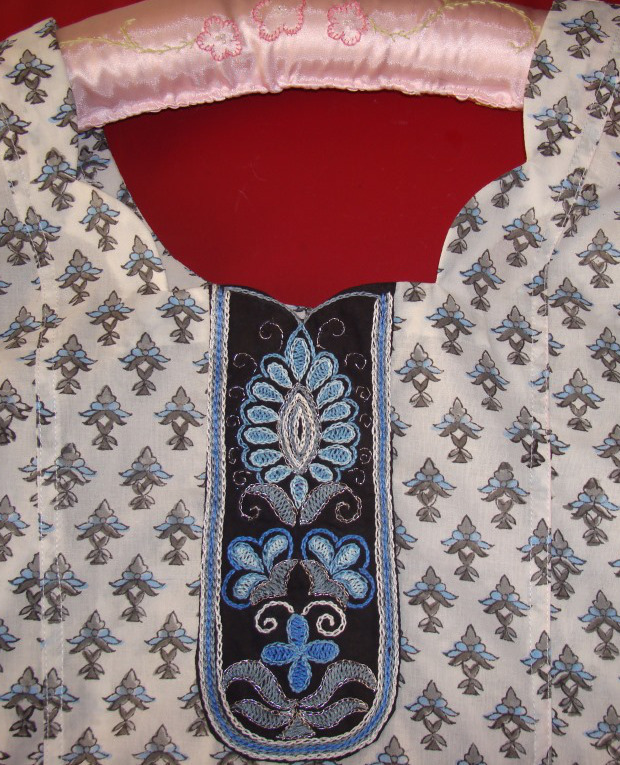 This embroidered centre piece was sewn on to the tunic by the tailor, who did a great job on the neckline. The closer look of the tunic. 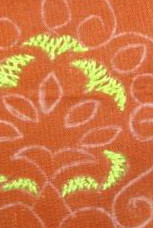 The pattern of this centre piece, based on traditional Indian design. This was a simple embroidery, I like working on traditional designs. 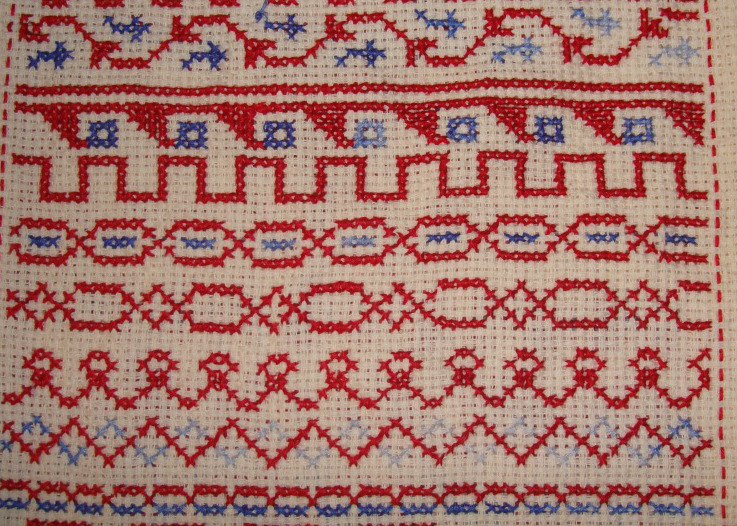 This sampler was filled with some other TAST stitches. Some people find it easy to work this kind of embroidery. Evidently I am not one of them. It is hard to work without any marking, and the mind becomes blank to choose the stitches, so many doubts, whether to fill the whole thing or just some parts. With all these the piece got finished.